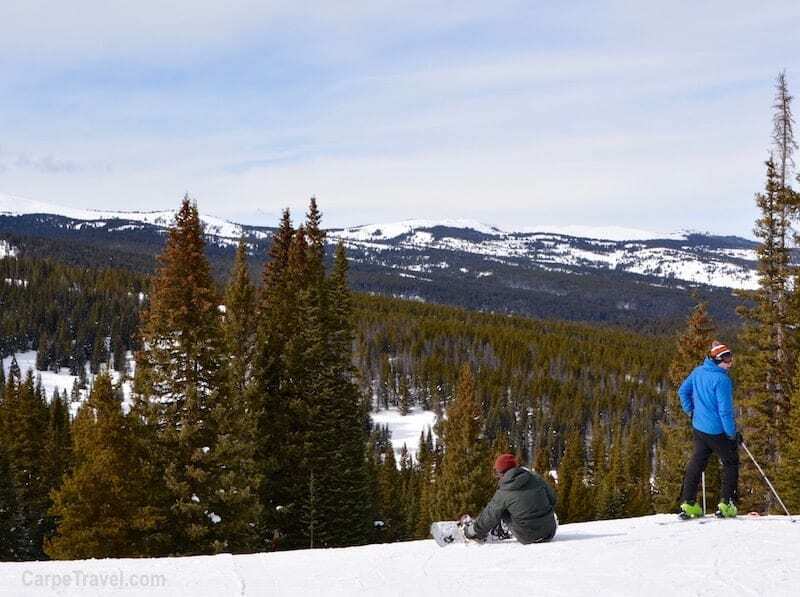 Surrounded by world-renowned ski resorts – Breckenridge, Keystone, Copper Mountain and Vail – Frisco, Colorado is often overlooked as a Colorado destination. But being a “resort-less” town has its perks, so many that this little mountain town shines on its own. It’s truly Summit County’s hidden gem. 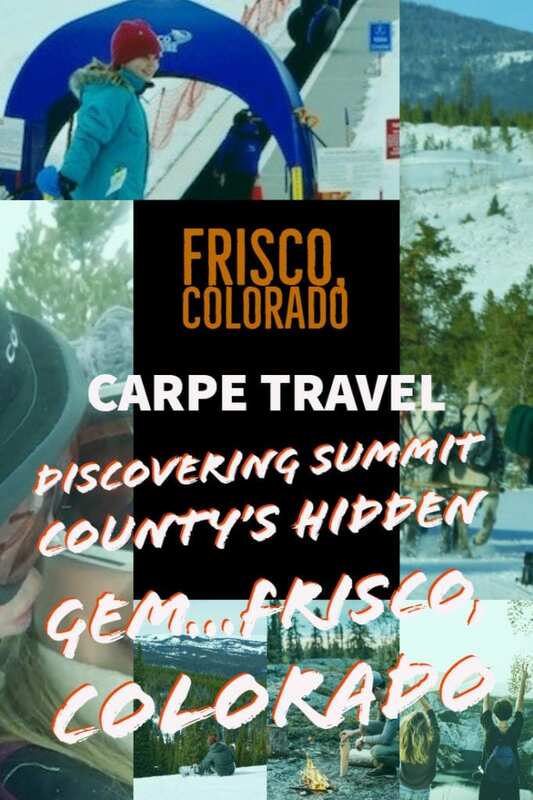 I was first introduced to Frisco years ago when I moved to Colorado and would regularly drive through it to reach Breckenridge for my weekend ski fix. It wasn’t until the summer months that I really spent time and got to know Frisco. With three sides of public land surrounding the town, and the shores of Dillon Reservoir enclosing the other, the biking, hiking, and water activities are endless, making Frisco an ideal outdoor recreation destination. Last winter I was invited by the Town of Frisco to spend a few days in town to get to know Frisco’s other side. It made such an impression that this year, my family and I spent five weekends – in a row – staying downtown. 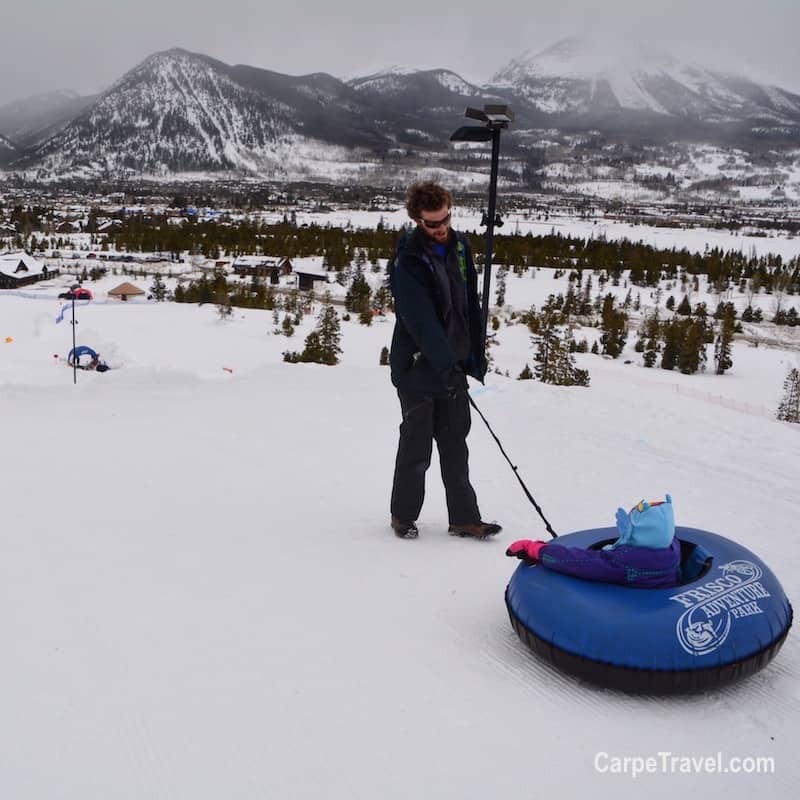 The kids were enrolled in a ski program at Copper Mountain so we took advantage of the amenities Frisco offers to make it a fun-filled month. The town of Frisco has a lot to offer and if done right, can be a more affordable destination than its neighbors. 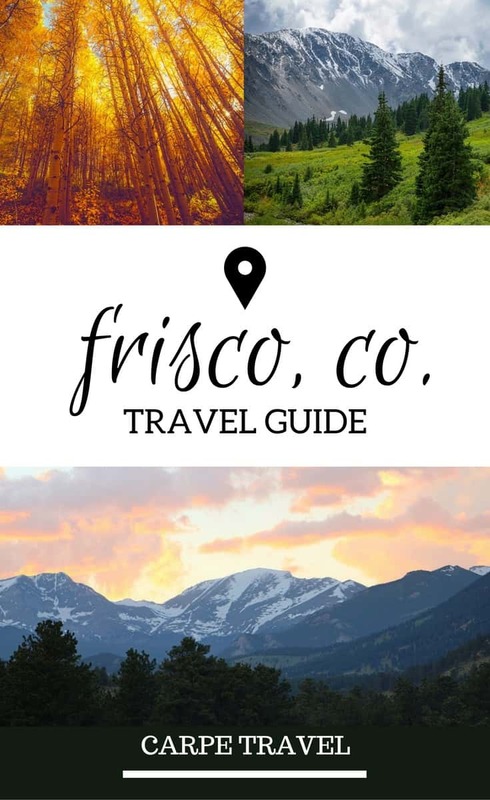 I’ve updated this guide from its first publishing date of Feb. 24, 2017 with more things to do in Frisco, recommendations on where to eat and how to find the best lodging in Frisco. If you have any additional tips, we’d love to hear them in the comments. Being in the heart of Summit County, Frisco is strategically placed within 30 minutes of six world-class ski resorts, including Copper Mountain (7 minutes), Breckenridge Ski Resort (15 minutes), Loveland Ski Area (20 minutes), Keystone (20 minutes), Arapahoe Basin (24 minutes) and Vail Mountain (30 minutes). 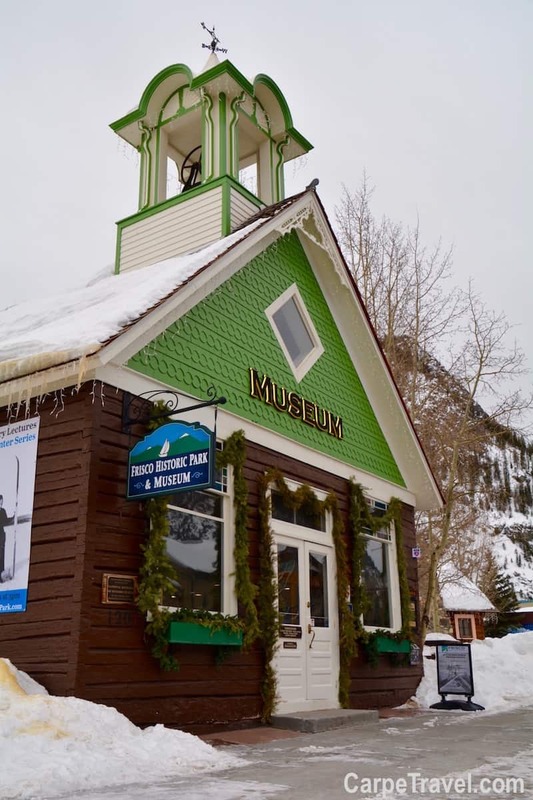 If you’d prefer not to drive your own car to the slopes, you can catch a ride on the Summit Stage, which offers free public bus service throughout Summit County. 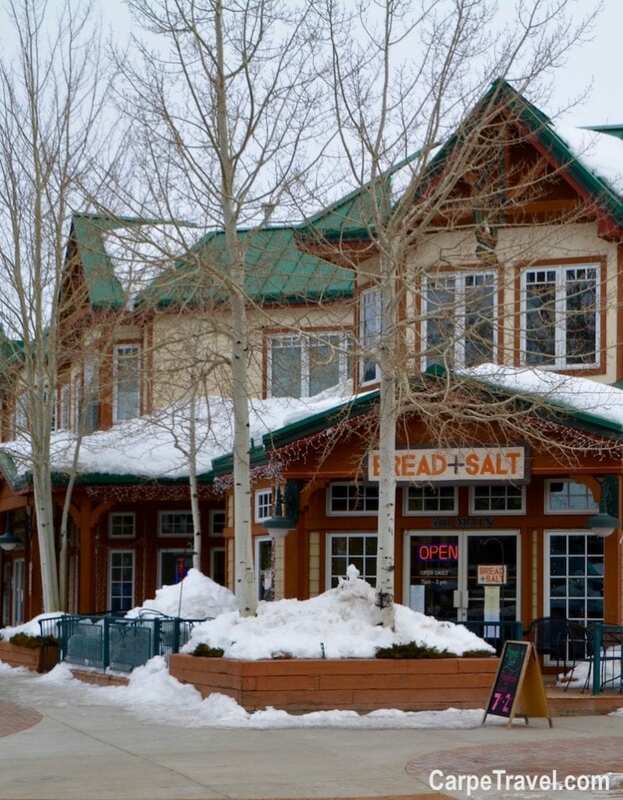 The Summit Stage provides service to ski areas (Vail and Loveland are not in Summit County), lodging, town centers, retail areas, medical centers, and some residential areas. It’s a great – FREE – way to get around Summit County and try out multiple ski resorts. Make sure to download the Summit Stage app if you plan to get around this way. You can see more accurate arrival and departure times for the route you’re taking. 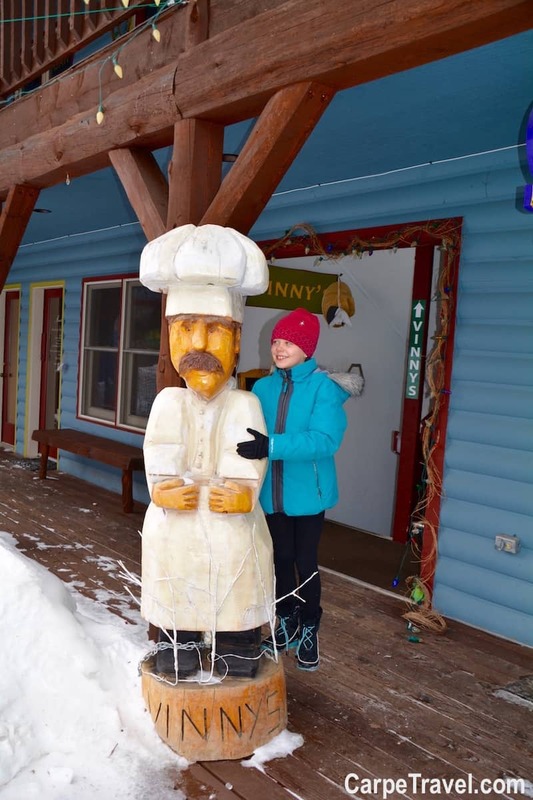 In the winter the Frisco Adventure Park is the place to be for everything outdoors – tubing, cross-country skiing, snow shoeing and even horse-drawn dinner sleigh rides. In the summer, the park features a bike park including a dirt bike jump facility, slope style course and pump track. You can also partake in a dinner chuck wagon experience! It’s an ultimate place for things to do in Frisco. The Town of Frisco has partnered with Copper Mountain to offer ski and ride (snowboard) lessons, at the Frisco Adventure Park. 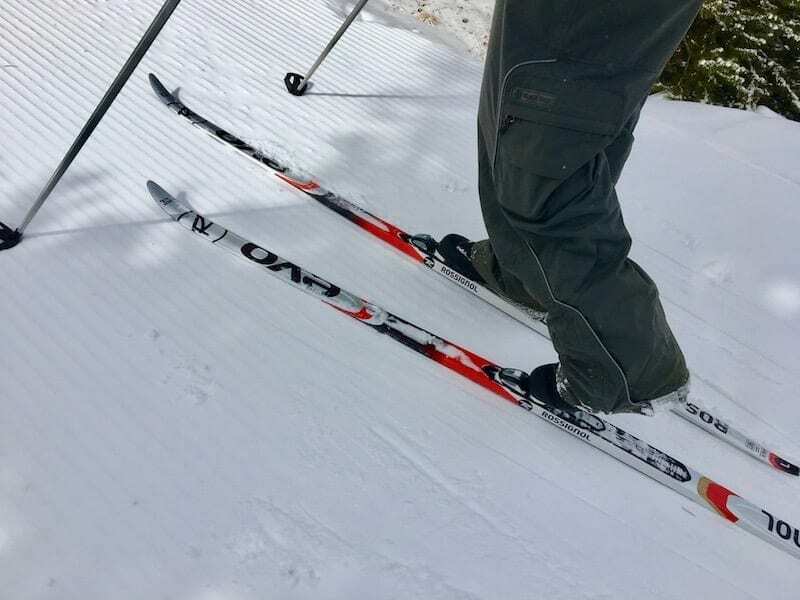 The two-hour session offers a simple, convenient way to try skiing and riding and learn basic skills with the expertise of the Copper Mountain professional ski and ride instructors. Reservations are required. 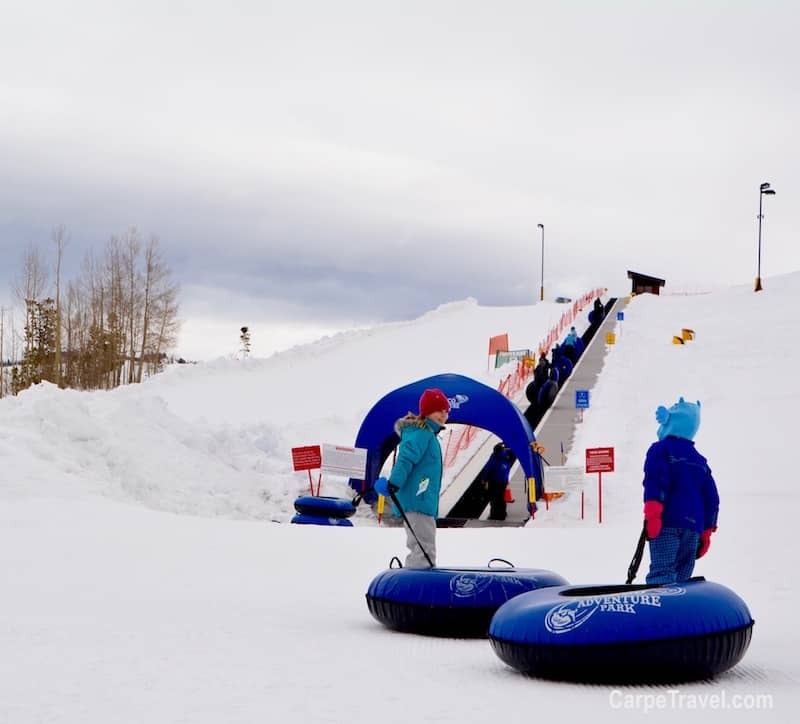 The tubing hill features seven, lengthy 1,200-foot tubing lanes with lift service up the hill – it’s a great way to spend the afternoon! The first hour is $26 with each additional hour costing $10. Reservations are available online or over the phone, 970-668-2558. If you want to go sledding there is a free sledding hill behind the parking lot of the Nordic Center. You must bring your own sled and on holiday weekends, expect a crowd. It’s a fun time regardless! 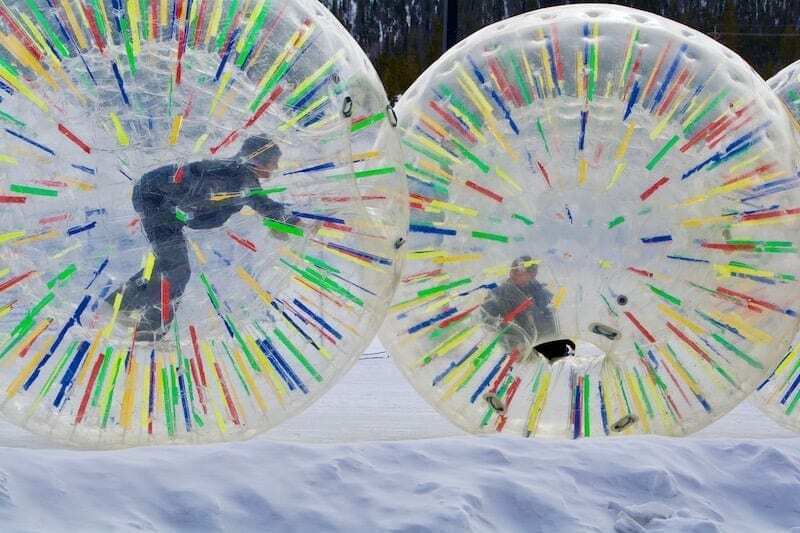 At the Frisco Adventure Park you can partake in the Tumble Bubble Corral where visitors tumble, bounce and smash other tumblers in giant (9ft) plastic human hamster balls. 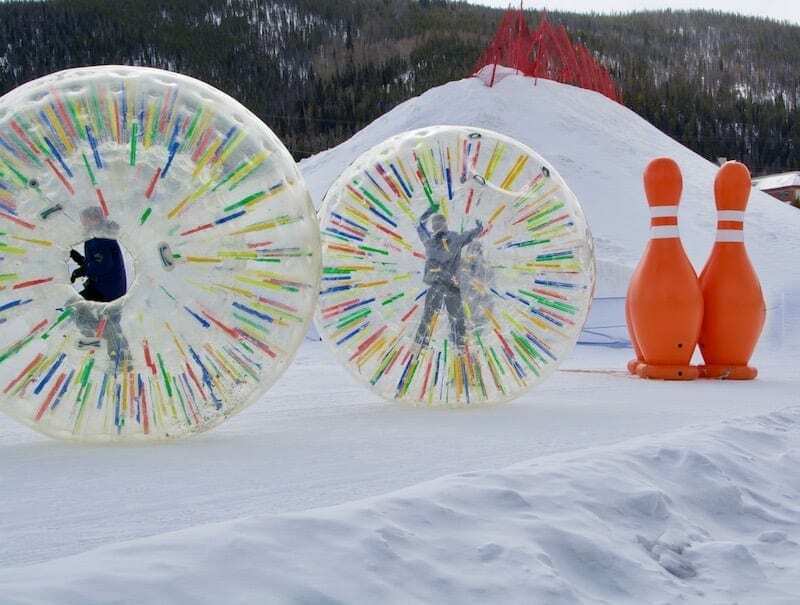 This experience is like no other as you roll and slide on the snow at the base of the tubing hill. 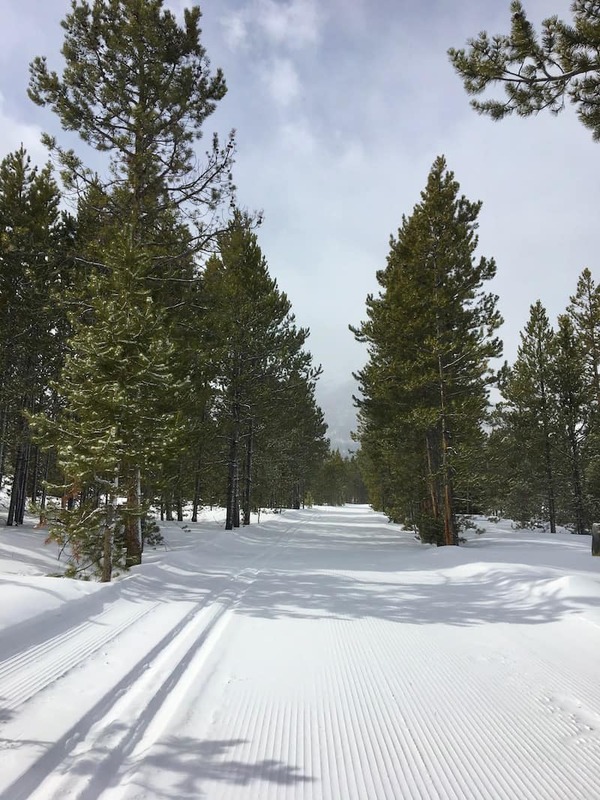 The Frisco Nordic Center is actually located within the Frisco Adventure Park. 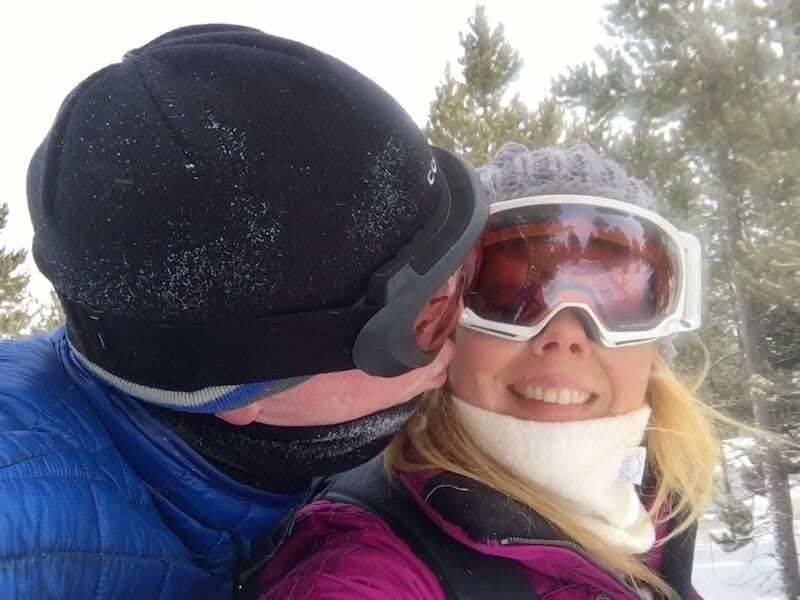 The Center offers 27k of ski trails, 20k of snowshoe trails, rentals, ski skate or classic lessons and ski tuning. We did cross country skiing for the first time here, the views were amazing. But, I’ll admit cross country skiing was A LOT harder than I anticipated. 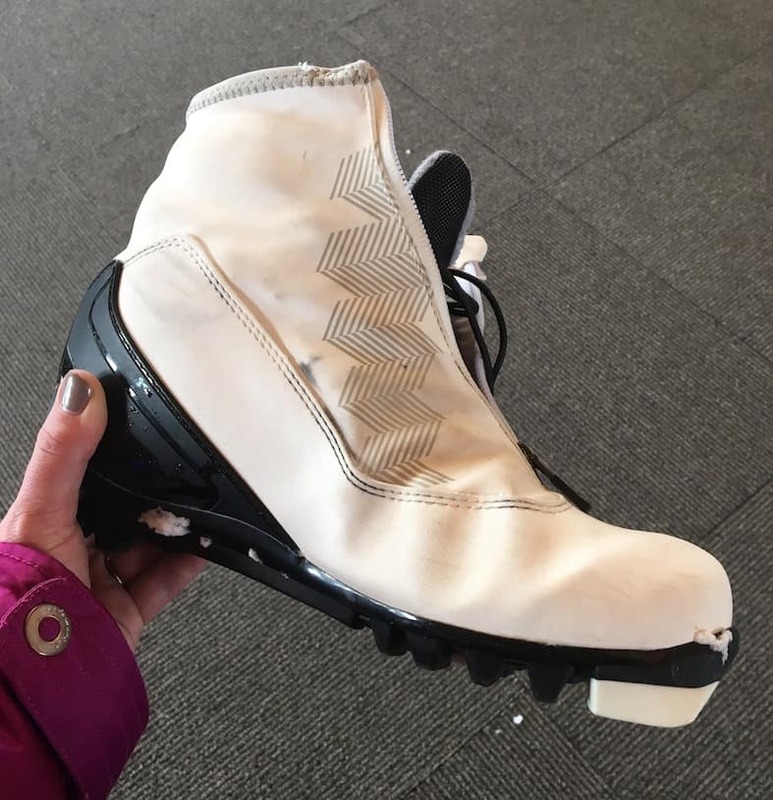 First, the skis are entirely different, and the boots, well they’re totally comfortable. However, staying up on the skis was a bit more challenging. We ended up not doing a lesson, only because the time we could go was booked. But, we rented the equipment and set out to try it ourselves. I think we did pretty well…two hours later I was sweaty and feeling pretty accomplished. GatherHouse Glassblowing Studio + Gallery, located just off of Main St. in Frisco, is the working artist’s studio of John Hudnut. John teaches glassblowing classes to all levels and does free demonstrations on Tuesdays, Thursdays and Saturdays from 2pm to 6 pm. Not only is it a great way to get a hands-on experience of working with 2000-degree molten glass but it’s an amazing life experience, especially for kids. On our last visit to Frisco, my daughter learned how to blow glass…she made a vase with John’s help and direction. The fact that she did it was such a confidence builder for her and an experience she will not soon forget. Take a look at this video showing our experience. During the winter months, you can head out to the Frisco Bay Marina to do a little ice fishing at Dillon Reservoir or to just soak up the views. In the summer, the Frisco Bay Marina is alive and jumping! With 25 miles of shoreline around Dillon Reservoir there is endless outdoor actives. Rent a paddle board for the day, try sailing or grab a fishing pole and see if you can catch one of Colorado’s famous trouts for dinner. 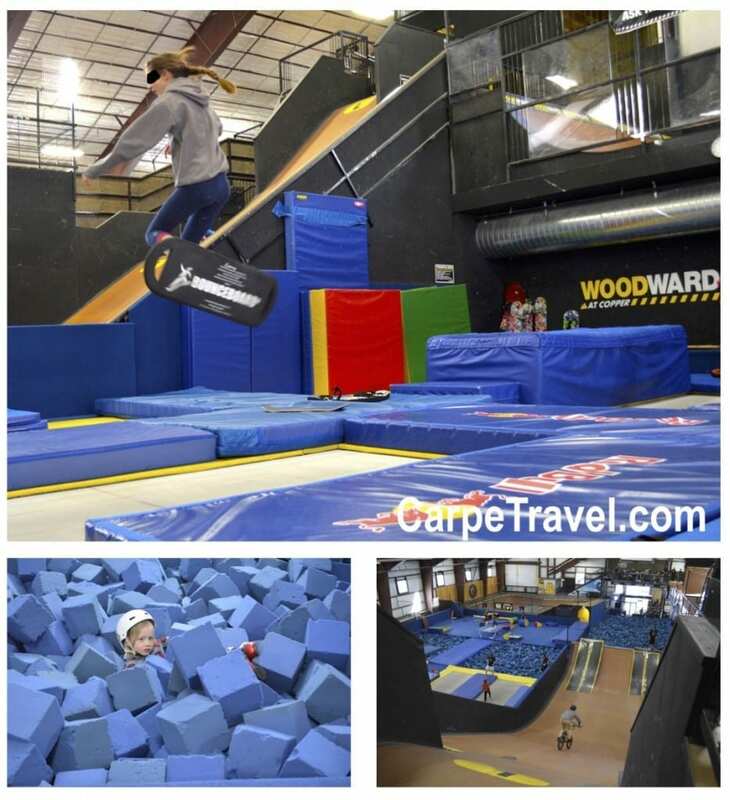 Woodward Copper Mountain – aka the Barn – is an indoor-outdoor freestyle training facility filled with trampolines, foam-pit jumps, jump ramps, rails, and a 60-foot-tall synthetic ski hill. (There are only four in the country!) I had always assumed Woodward was where those crazy daredevil, wanna-be X Gamers go to learn how to do the 1080 and backflips. I didn’t realize the true potential Woodward Copper provides for kids, teens AND adults until my visit. I discovered Woodward Copper isn’t just for kids or daredevils. It’s a safe, less intimidating environment (than the mountain) to learn how to do crazy daredevil, X Gamer jumps…as well as simple jumps through the trees or just learning a few basic freestyle moves. See my full review of Woodward Copper. 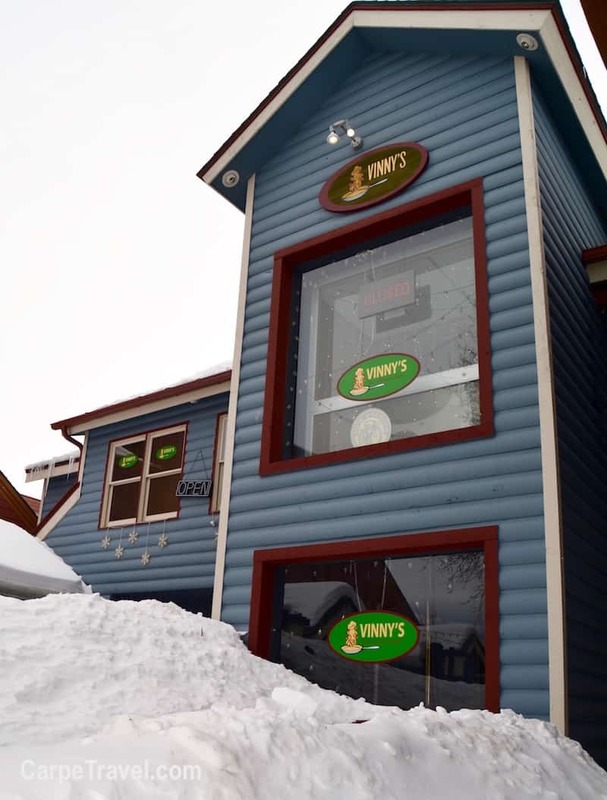 The local candy store – Foote’s Rest – is literally a sweet spot in the towns history. 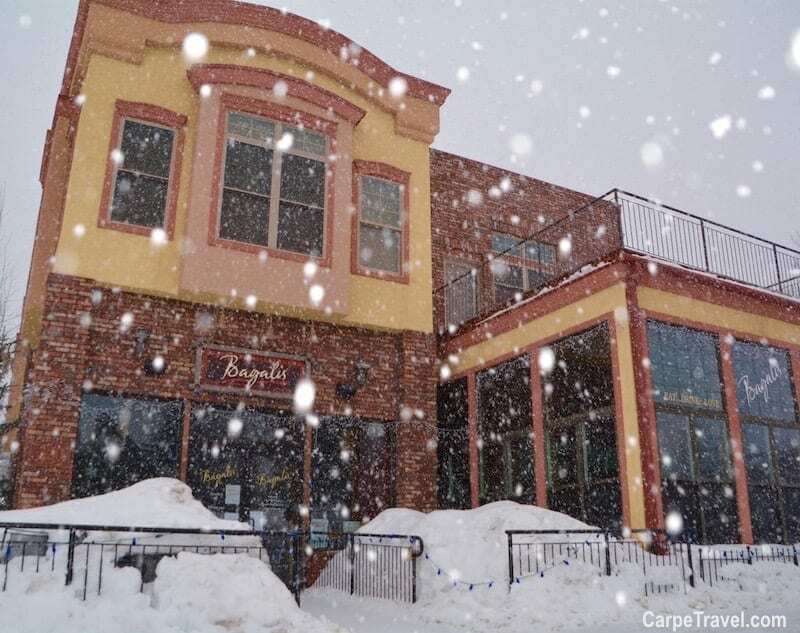 The building was originally the 1870s-era assay office for Frisco – the place where miners went to have their gold and silver weighed and assessed – then the town’s post office, grocery store, gas station and now candy store. Oh, if only the walls could talk…the stories they could tell about Frisco. If you’re there, stop into Foote’s Rest for some of the best homemade fudge and ice cream you’ll ever taste. Do you ever wonder what it would be like to experience the Iditarod challenge? Why not give it a try, just not on the same extreme level. 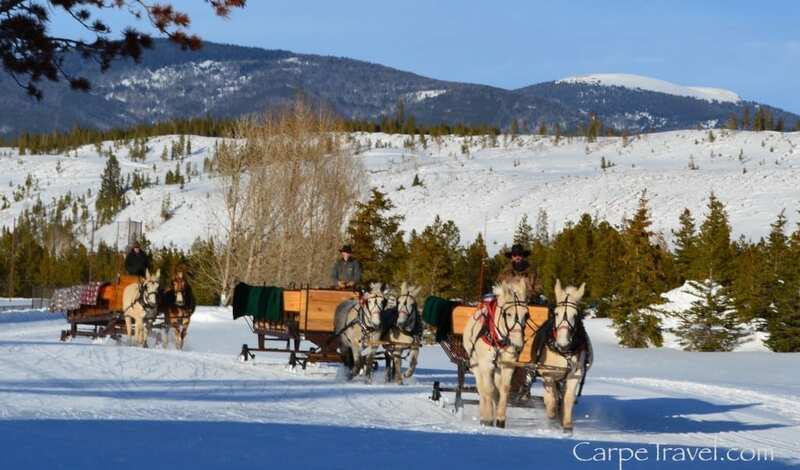 Give dogsledding a whirl in Frisco where there are several dog sledding experiences that will have you racing through the snow with your trusty barking four-legged steeds leading the way. Dog sledding in Frisco is something the whole family can do as well (most companies allow for children over the age of four). Take a walk back in time when you visit the Frisco Historic Park and Museum. A cell phone walking tour will guide you through the history of this historic mining town. Along the way, you’ll stop at 11 historic – and original – buildings from an era of early life in Frisco. It’s a fun, short tour that will introduce you to the colorful past of the town and those who built it. I suggest you try to do this early in your visit to give you a flavor for the town you’re visiting. 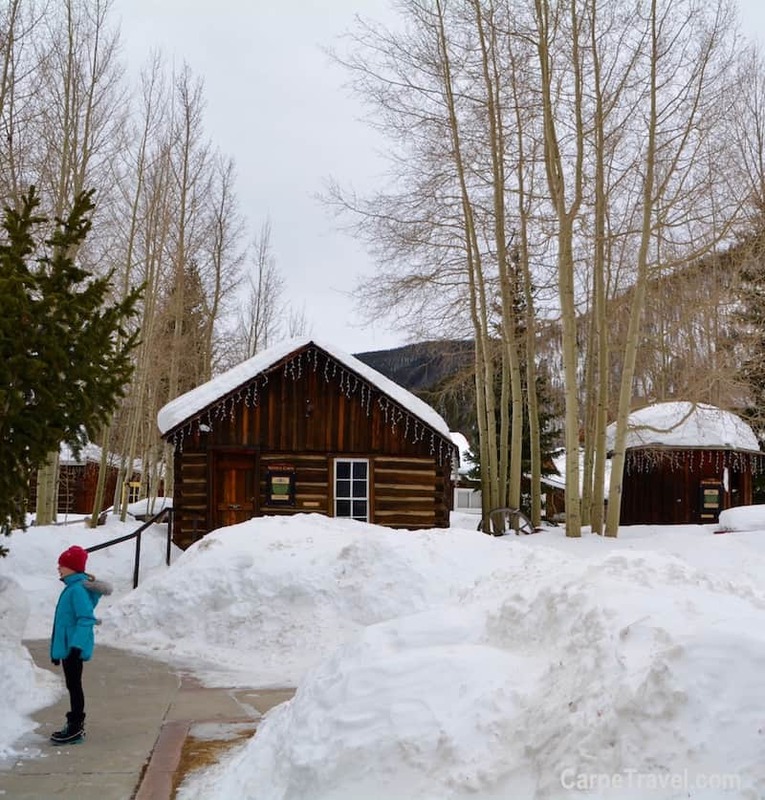 Technically, the Silverthorne Outlet Mall is not in Frisco BUT it’s a short 10-minute drive down the mountain and well worth the shopping and savings you’ll find. Think GAP, NIKE, Under Armor, Colombia, Gymboree, Ann Taylor, Polo, etc. And, remember you don’t have to drive. Take the free Summit Stage! Ever ridden a snowcat? Jump on the snowcat at Copper Mountain for a free ride to experience parts of the mountain you rarely see. The ride is free with any lift ticket purchase or season pass to Copper Mountain. 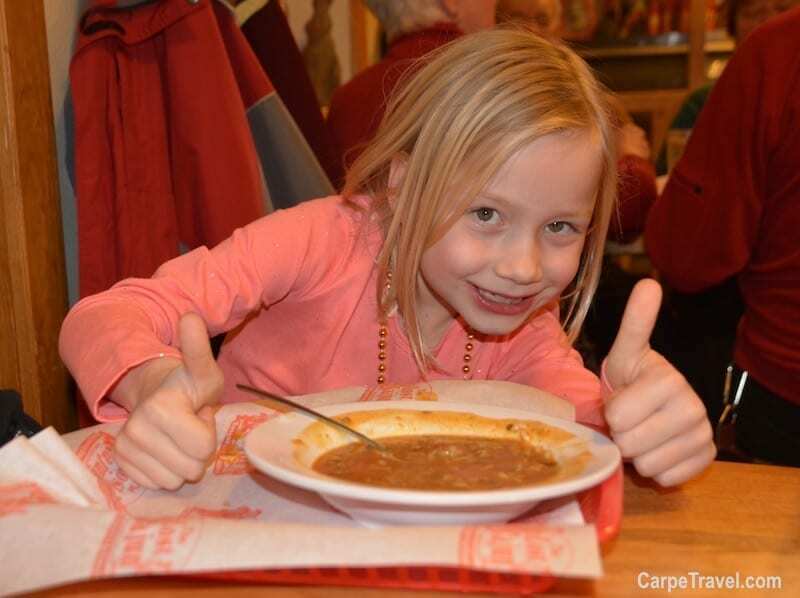 In June the Colorado BBQ Challenge will call Frisco home. The challenge will feature 70+ BBQers competing for a variety of awards, seven bands, pig races, kids’ activities, the 3rd Annual Fire Fighter Cook-Off, the Breckenridge Distillery Whiskey Tour, the Bacon Burner 6k and the best BBQ you will have in Colorado this year. During the summer the Town of Frisco brings together great music at the FREE Outdoor Concert in the Park Series at the Historic Park Gazebo & Lawn at 120 Main Street. It’s a great – FREE – thing to do in Frisco. 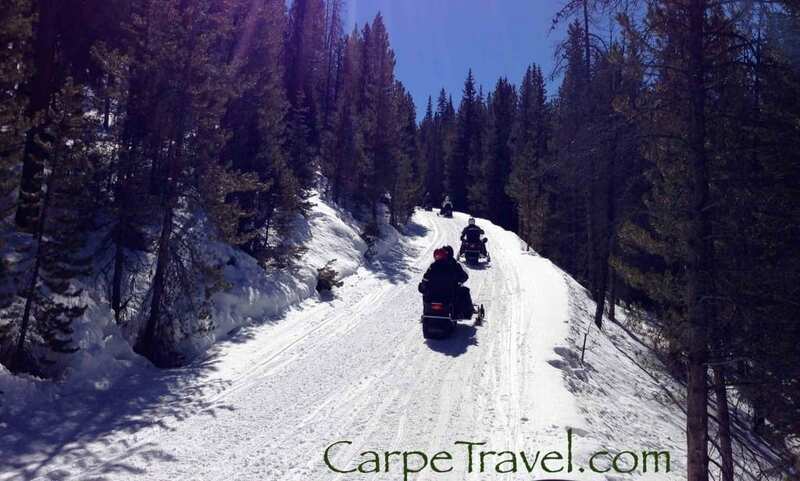 Snowmobiling is an awesome way to experience the mountain and all the fresh champagne powder without a lot of physical activity required. Frisco is not a ski resort town, so you won’t find your big luxury hotels here. However, the lodging options in Frisco still range from high-end luxury to inexpensive, budget friendly. You just have to look for them… Of course, you can leverage TripAdvisor to help but you may find smaller, private luxury condo options not included in its results. AirBnB and VRBO are also great resources but I’ve had hit or miss experiences with them and the results can be overwhelming to sort through… Here are a few resources I suggest checking out for lodging in Frisco to make your visit easy and comfortable. 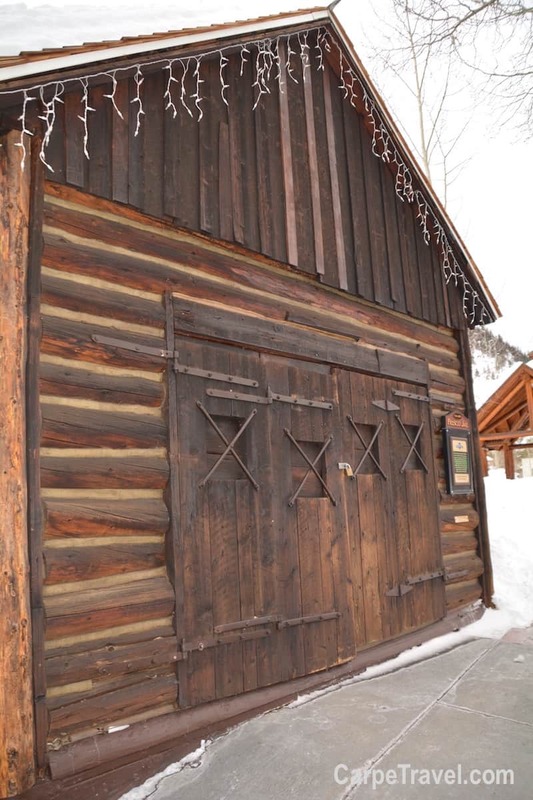 Summit Mountain Rentals specializes in rentals in Frisco and Breckenridge. Tell them what you need, and they’ll find the perfect spot. Bighorn Rentals is a locally owned vacation rental company just off Frisco Main Street and a great bet for vacation rentals. 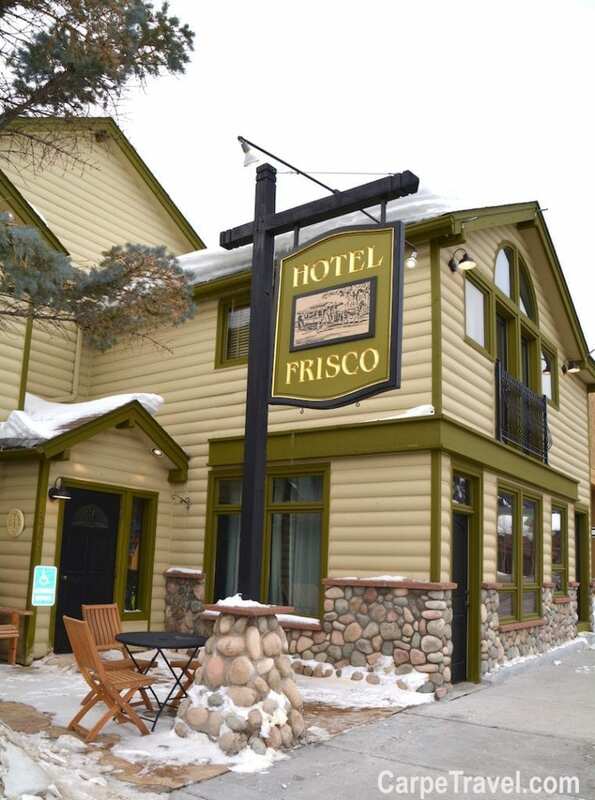 For a retro vibe, the Frisco Lodge on Main Street is perfect. For a more romantic stay, the Frisco Inn on Galena (a block off Main Street), but there is usually a 2-4 night minimum stay so check before you get your heart set on staying here. For additional Frisco lodging options, check out what the Town of Frisco suggests. The options for restaurants are endless in Frisco. Really. From Italian to seafood, to Cajun, to steakhouses and amazing brunch spots. You can’t go wrong. Here are a few of the top restaurant in Frisco I suggest visiting. This has become my husbands favorite spot in Frisco. One, it’s directly across the street from Hotel Frisco, our home away from home. Two, the beer is outstanding (they also have a full bar if beer isn’t your thing). Three, the German sausages, mustards and pretzels will appeal to adults and kids. Just think of an overwhelmingly YUMMY experience at Prosit. Food and indoor golf, combined? The Clubhouse is Frisco’s newest venue. I’m not sure if we should call it a restaurant or activity so I’ll stick with venue since it’s essentially both. With a full kitchen, dining area, and outdoor patio with direct access from Main Street Frisco you’ll eat well. Upstairs is a 12 tap tower highlighting local breweries along with 11 large TV’s. Not to mention, Summit County’s first state of the art indoor golf simulator. Make reservations for golf, it’s a fun activity that’s filling up. Named the Best Restaurant in Frisco in 2016 Vinny’s Restaurant is a must. Its Euro-American Cuisine is owned and operated by Chef Vincent and his wife Sarah. Don’t be fooled into thinking that “Vinny’s” means simple Italian food and pizza! Think homemade soups, seasonal organic salads, pastas, pork tenderloin, lamb shanks, duck leg confit…the options are endlessly delicious. And, did I mention the wine list, well let’s just say it made me happy. There are multiple varietals from regions around the world offered by the glass or the bottle. Vinny’s is open for lunch and dinner. Reservations are recommended for dinner any night of the week. 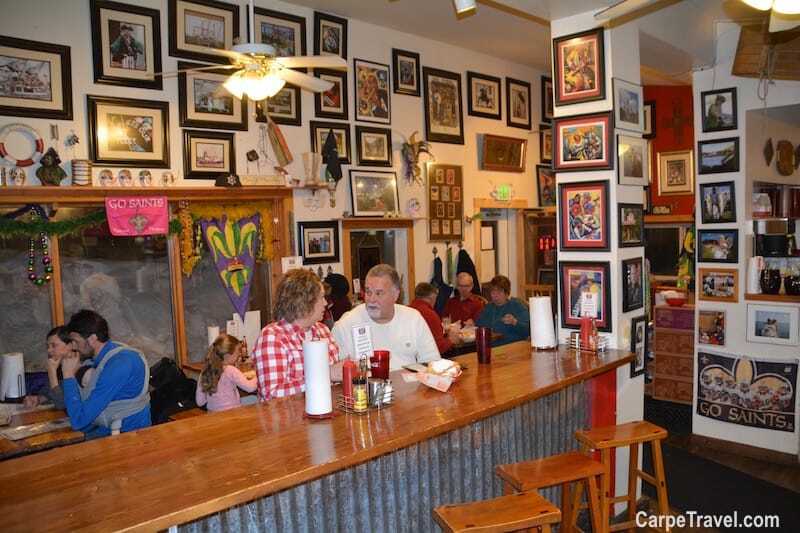 Located on Main St., this casual restaurant serves up anything but casual. The food at 5th Avenue Grille is outstanding and ranges from pork chops to steak to ahi tuna, Rocky Mountain trout and a lot of deliciousness in-between. Make a reservation. This is the best pizza in town, not just according to me. Peppino’s was voted Best Pizza in Frisco by the Summit Daily. Even better, they deliver. If you do go (or order delivery) try one of their specialty pizzas. 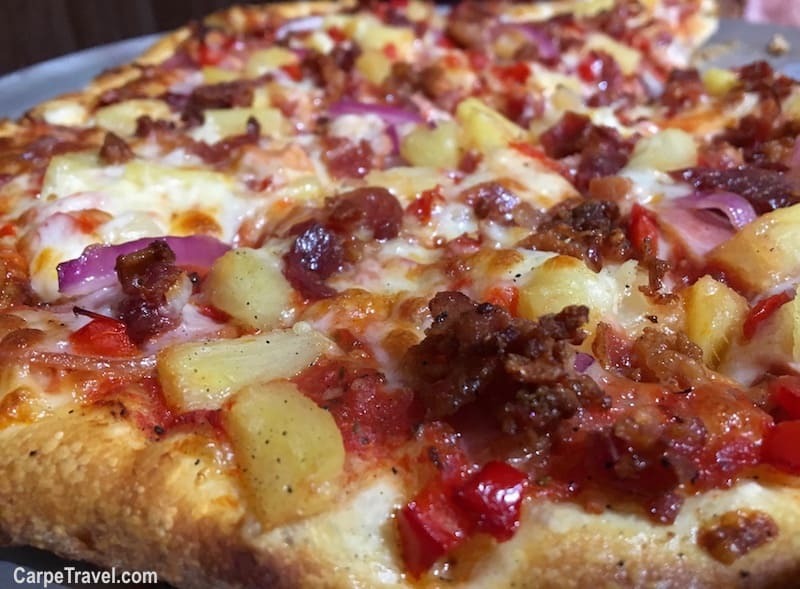 I love the BBQ Chicken pizza and the Aloha. Delish!!! Tip: While they deliver, it’s super sloooooow. So, plan to pick it up. Breakfast. Brunch. Lunch. Sweet Treats. Caffeine. 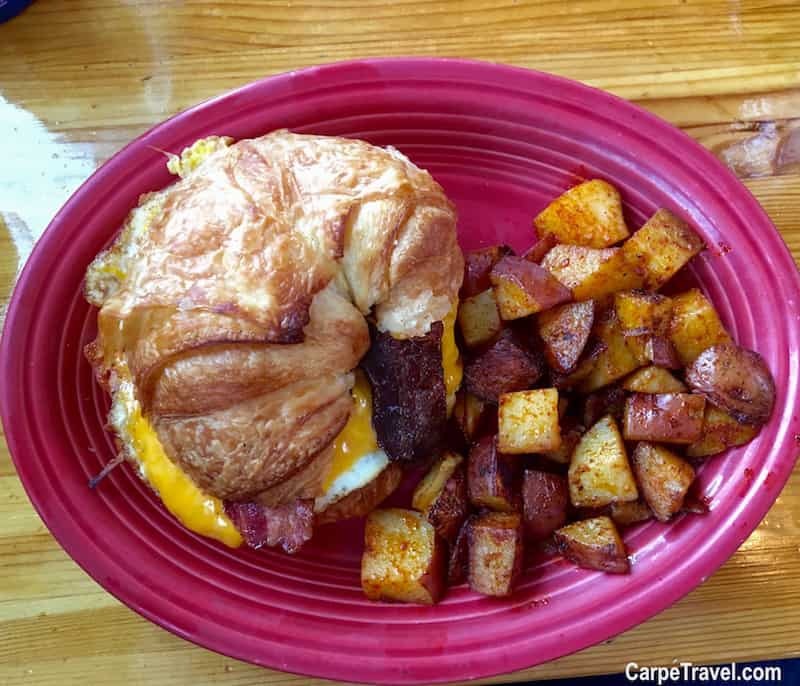 Butterhorn Bakery & Cafe has it all. The restaurant packs it in during peak season so expect a crowd, but not too long of a wait. The menu offers a variety of options, all delicious. If you go, try one of the egg sandwiches or the Eggy Bread, a unique twist on traditional French Toast. You can also call your order in ahead of time and get it to go if you’re trying to catch a ride on the Summit Stage. Butterhorn Bakery also offers breakfast burritos to go. So, if you don’t have time to sit and eat, grab a burrito, egg sandwich or one of their awesome pastry’s with a coffee and head out. I adore the Lost Cajun. 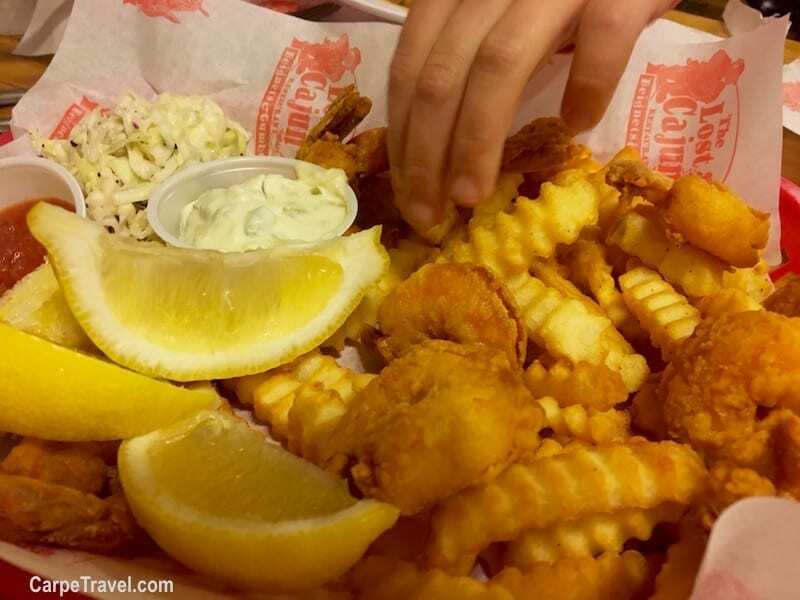 Having eaten my way through New Orleans on countless occasions, I can honestly say the Lost Cajun has brought authentic Cajun cooking to Colorado. The restaurant itself is a TINY hole in the wall – three tables and a high-top bar table for guest to share. There is outdoor seating but in the winter, it’s closed. The open kitchen and Zydeco music makes you feel like you’ve stepped into a gumbo shop in Louisiana. To add to that feeling, every guest is offered a complimentary sampler of gumbo, rice and beans, and etouffee as soon as they sit down. The menu is simple, affordable and brimming with flavor…it’s hard to pick just one item so order a few and share with the group. 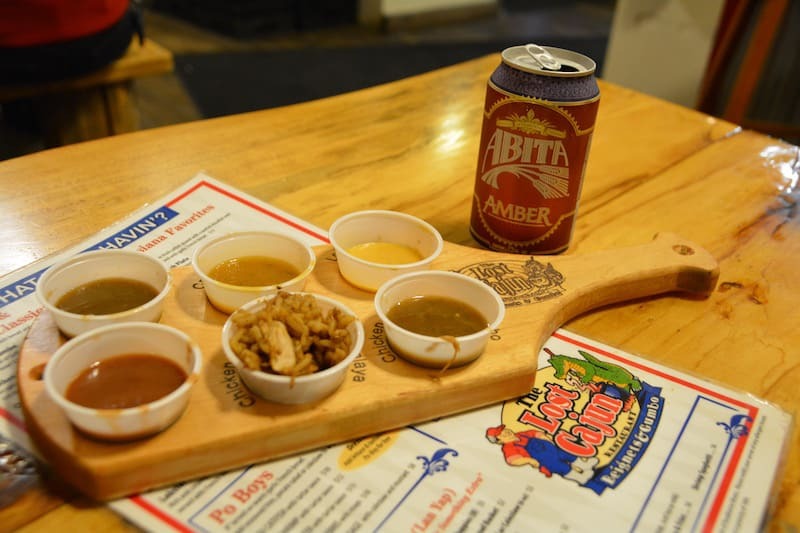 My top picks – shrimp poboy, rice and beans, crawfish pie and the shrimp platter. Make sure to try the Beignets too, they might just be better than the ones you can get in New Orleans. Bagalis is chef-owned and features a classic Italian menu with several additional internationally inspired dishes, all with locally sourced ingredients. It’s right next door to Hotel Frisco, so we frequently hit this spot. The rustic atmosphere creates a cozy setting for a delicious dinner…paired with one of the many wines Bagalis offers by the glass or the bottle. The seasonal menu does change so make sure to ask the server which dishes are their favorites. If you go, you must try the Truffle French Fries and the Bacon, Burrata, Brussel Sprouts. Hello, brunch. Bread + Salt is one of the most popular places in town for breakfast and brunch, but its limited seating typically requires one to wait for a table. It’s worth it though. So worth it. Try the Frisco Omelet, Nutella and Blueberry Pancakes, Chipotle Pork Benedict or Truffle Scramble. The menu is awesome… If you’re trying to jump on the bus to hit the slopes, call your order in ahead of time and get it to go. I’d suggest one of the egg sandwich options as the others will be difficult to eat on the go. If you have any additional tips for things to do in Frisco, we’d love to hear them in the comments. Was this guide useful? Save it for later. Pin it now! Disclaimer: Portions of my trip to Frisco, Colorado were hosted by the Town of Frisco. All thoughts and opinions are my own. Great travel tips! I am planning a vacation to Frisco in the near future and I cant wait to check some of these spots out! Thanks for sharing! Thanks for sharing. Hope to visit such a great place. Hey Elaine, thanks for sharing such an amazing place with us! Your pictures are very nice. I would love to visit there. In a nutshell, you just made me want to visit Frisco. Seems like a really awesome place to spend some time with a friend. Yeah! I’m glad to hear that. It’s a great destination in both the winter and summer. Such an amazing place to stay, thanks for sharing! An amazing place to ski and Adventure Park sounds really fun! 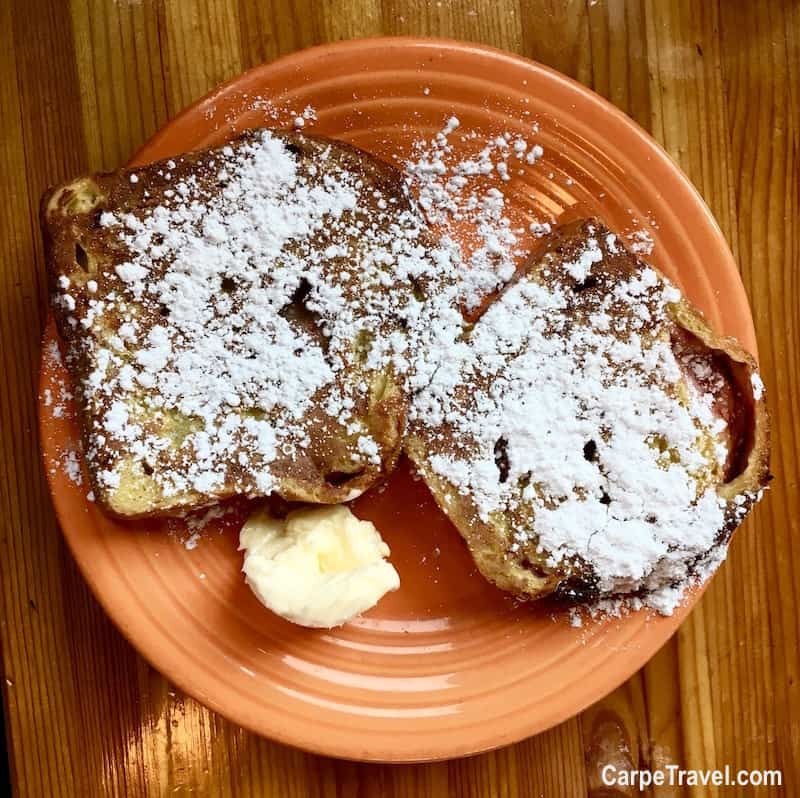 So much to do in Frisco, Colorado plus, you can enjoy delicious foods, especially the french toast, looks so yummy perfect for a cup of hot chocolate. I like all of the photos, they are all lovely. I thought it was cool that there was a Nordic Center in Summit County. My friend is from Colorado, and she’s been wanting to take me there. I really like the idea of learning how to blow glass, as I’m a very artistic person. What are some seasonal events or festivals that you would recommend attending? Honestly, there are events year-around in Summit. Two that I love are The Breckenridge Wine Festival in July and the Breckenridge Wine Classic in September. Cheers!